Many organisations we work with conduct a climate or employee engagement survey. Each year managers try to decipher the results, and explore this question with their teams : How do we increase our levels of employee engagement? Some scary statistics were published by the ‘Gallup 2013 study on the state of the Global Workplace’ – only 13% of employees around the world are engaged at work. And 24% are actively disengaged, meaning they are unhappy and unproductive at work. The responsibility for actively working on employee engagement does rest with each manager and the organisation they work for, but it is certainly not the only key to improving engagement levels. 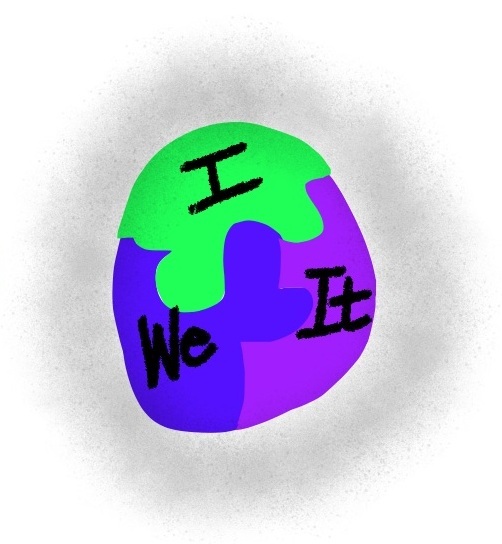 To understand all the factors that contribute to engagement, we need to explore the ‘holy trinity’ of the I – the We – and the It! A great concept shared by Deloittes was profiled in a previous blog we shared called ‘Becoming Irresistible – a power new model for employee engagement. After a two year research study involving discussions with hundreds of clients, Deloitte have “uncovered five major elements (and 20 underlying strategies) that work together to make organizations “irresistible.” These 20 factors fit together into a whole system of engagement in an organization, one that is held together through culture. But working on the We and the It only takes you so far. You can have two people doing the same job in the same team – and you feel you apply the same engagement strategies with each of them – and one may be engaged and the other disengaged! Sound familiar? Marshall has published what he calls his 6 Active Questions that he suggests each person should ask every day. And he practices what he preaches – he asks these (plus other) questions for himself every single day. Paying attention to these 6 active questions don’t merely elicit and answer: they create a different level of engagement to your goals. 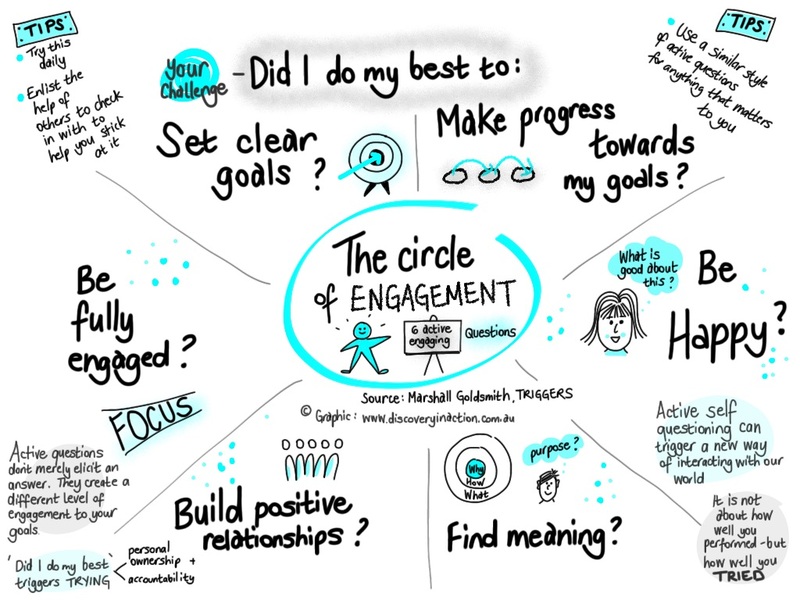 So next time the team gets together to talk about how to improve engagement, share this graphic with them. What can they do for themselves to help improve their own levels of engagement at work? ← Effective management v micro-management? Do you check up or check in?